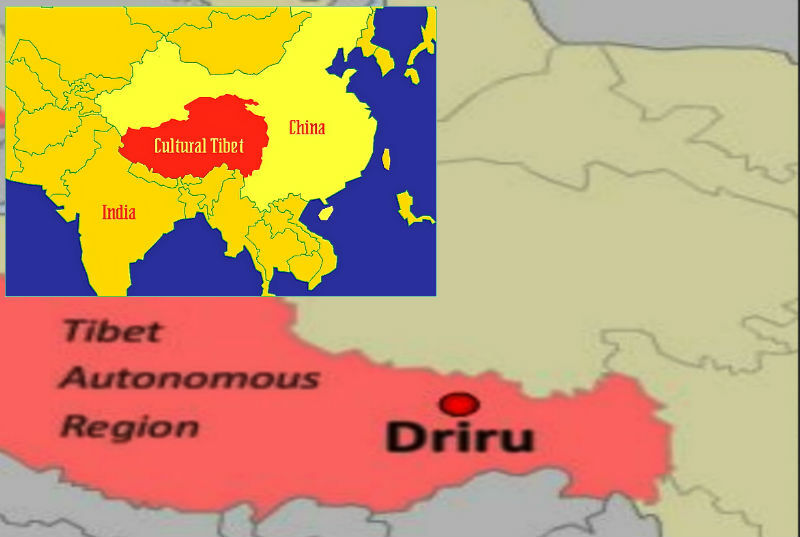 Dharamshala: -- Emerging reports coming out Tibet say, a Tibetan man was severely beaten and arrested by Chinese police for raising slogans calling for "Tibet's independence" and "long life of His Holiness the Dalai Lama", in Driru County in eastern Tibet. 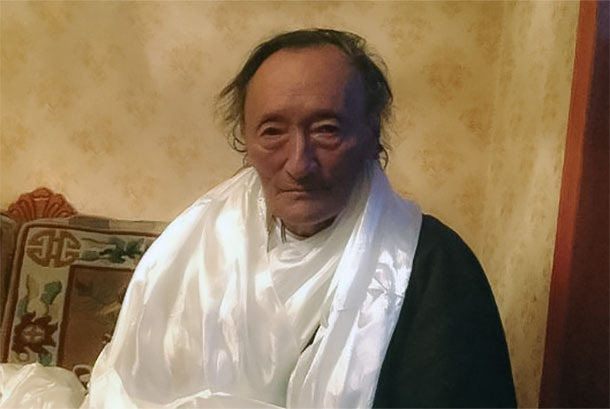 Dayang, 68, an elder Tibetan man carrying a traditional Tibetan scarf, shouted slogans;"Tibet is an independent country," "long live His Holiness the Dalai Lama," and "Chinese go back," Ngawang Tharpa, a Tibetan living in India told The Tibet Post International. "Dayang shouted the slogan to protest against political indoctrination carried by some groups of work team' officials and artistes in Driru County," he said, citing sources in the region. "Dayang was severely beaten and arrested by the Chinese police, after immediately black material covering his head," said Tharpa who cited an eyewitness as source. Over one thousand Chinese officials from the Tibetan Autonomous Region (TAR) have been sent to Terchen village in Nagchu County and Dathang and Tsachu villages in Driru County to carry out Political campaigns or "patriotic re-education" . Sources stated that he was undergoing treatment for serious injuries at the local hospital. 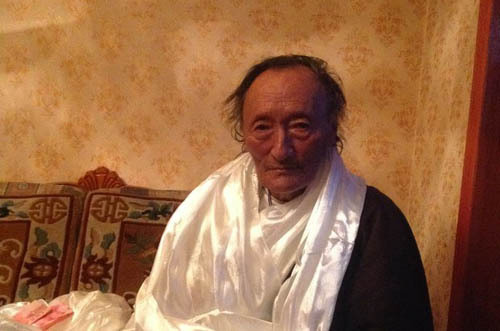 Since September 9, his whereabouts and health condition remain unknown. The re-education campaign involves forcing Tibetans to denounce their most revered spiritual leader, His Holiness the Dalai Lama, and pledge allegiance to the Chinese government. The so called 'Patriotic re-education campaigns' were first introduced in 1996. They are Beijing's preferred means to assert control over the Buddhist institutions, including the lay community. Refusal to participate in long sessions of political and religious studies on Maoist "truths" has resulted in heavy punishment, including arrests and expulsion.